We create spaces that are livable, sophisticated and always tailored to our clients needs and wants by using our expertise to take the burden of your shoulders of going through countless selections, wasting time searching for ideas or spending money on furnishings that don’t fit well or don’t hold up. We strongly believe that good design has the power to elevate your lifestyle. Our clients, many of whom are repeats or referrals love our classic with a modern twist style and our no-nonsense approach to design. Our streamlined step by step design process ensures your design is delivered with no excuses, saving you time and headaches so you can enjoy how it all comes together, rather than worrying about making a mistake or second guessing your choices. We love what we do and we want you to enjoy the process as well! I had the pleasure of working with Magdalena, the owner. She was so professional when it came to picking out new furnishings, paint colors, draperies and had plenty of contractors to set me up with. She has an expert sense of attention to detail and is always easy to contact with any questions. She was flexible when it came to trying to figure out what I liked and what would look good in my home. Magda Dubovecak, an award-winning full service interior designer, has emerged as one of the leading home renovation experts in the Philadelphia area. She has won rave reviews for helping her clients update and upgrade their space, adapt their homes to meet their changing interests and lifestyles, and overcome other challenges involved with remodeling their homes. Those clients use phrases like “amazing to work with”, “top of the line”, “very creative”, and “a great eye for color” to describe her. Named by Fresh Home magazine as one of the Top 20 Philadelphia area designers, Magda serves as a renovation resource for homeowners as well as builders and realtors. She also designs the interiors of new homes for her clients, busy professionals and business owners on the Main Line and other parts of greater Philadelphia. Her company, ReImagine Interiors, offers services ranging from turn key interior design and space planning to color consultations and custom furniture selection. The firm is backed by a team of leading contractors, painters, flooring experts, cabinetmakers, window treatment specialists, electricians, plumbers and other professionals. 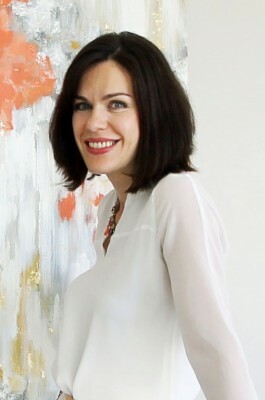 Magda, the winner of Houzz service awards, is known for her skill at customizing interiors, and creating unique, one-of-a-kind projects for each client. As the mother of two young children, she understands the need to design homes that are “family functional” as well as fashionable.